I love playing with hair gadgets and I have wanted to try out a conical wand for a while. 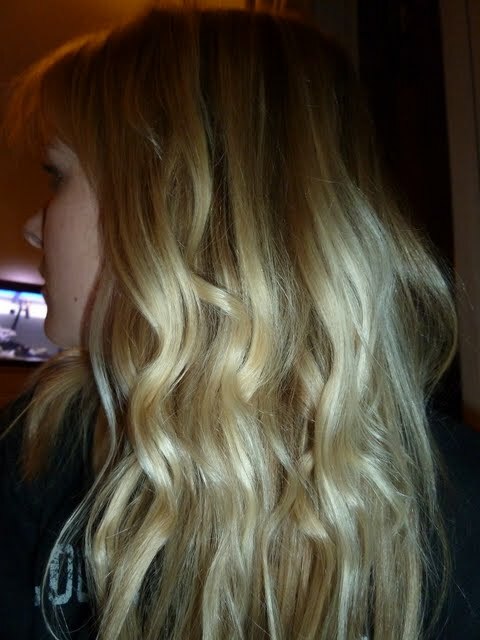 I’m always on the quest to make my poker straight locks into the sort of natural beachy waves a-la Sienna Miller. The unique quality of conical wands have is that they don’t have the clamp bit that normal curling irons have that can leave kinks and because of the gradual barrell shape the curl tends to look more natural and less uniform. Creating a far more natural and flattering finish. The Remington Pearl Wand comes with a heat pouch, and heat protecting glove for the hand that will hold the lock of hair at the end of the wand, to avoid burning. The wand has a variable temp that can be adjusted for different hair types (I used it at 190 rather than 200 as lower temps are better for my fine hair). 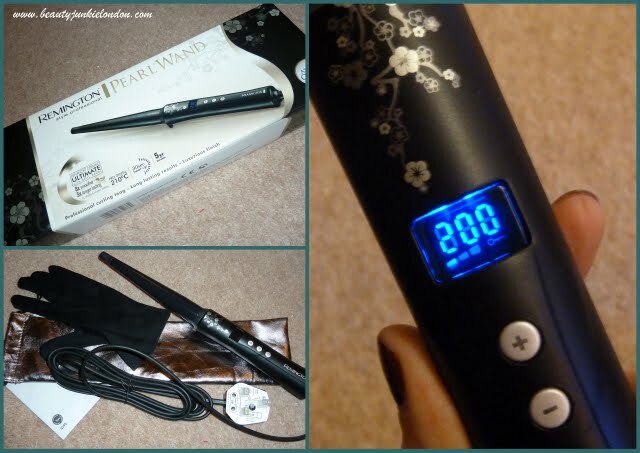 The wand heats up quickly & I love that they come with the heat pouch as I have a constant fear of causing all sorts of damage when using heat hair tools! On first use I found the wand fairly easy, but a little bit awkward due to my own lack of coordination. I kept going to hold the end with the non-gloved hand! Might just be me, but I would actually find it easier to have two gloves included as it would mean doing both sides of the hair wouldn’t mean changing gloves. As with every time I go to curl my hair I do find it difficult to get every bit of hair and this was no different but I did like that it was straightforward to just grab a bit of hair and wrap it around the wand. As you can probably see in the picture some of the curls are more defined than others – this was part of me playing around with how long I held the hair to the wand for. The longer I held it, the tighter/more defined the curl (same for using smaller chunks of hair). I need to keep practising, but overall I have decided that this is a fairly easy way to achieve the beachy look but you have to be happy to spend around 20mins or so doing your hair to achieve the look. 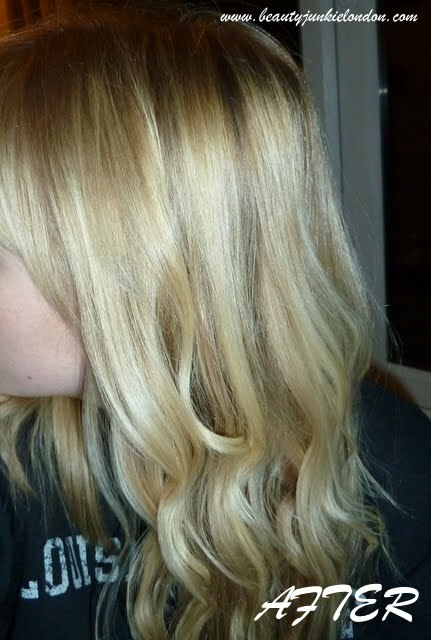 I’ve just ordered a Remington Spin Dryer to create curls, have you tried that? I’m quite excited to give it a go! Ive got a babyliss one similar to the one you have, and I do exactly that.. hold it with both hands, and always end up burning my fingers! 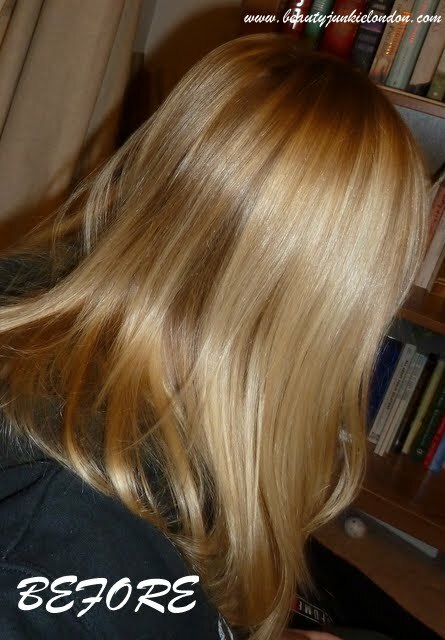 Gorgeous hair… I love the curls you did. I do love the effect, just need a bit more practice I think before I manage to do this quick enough for every day!